The software development industry is ever-evolving. New technologies are enabling projects to be completed quicker, more securely than ever before, and with better quality results. Artificial Intelligence, progressive web apps and blockchain technology are some of the trends that we expect to see making a real impact in the industry in 2019. The global outsourcing market has seen steady growth since the turn of the millennium and in 2018, the industry generated $85.6 billion USD. Similarly, we expect to see this growth continue in the tech industry with more companies embracing software outsourcing. For projects that require a quick launch without compromising on quality, outsourcing development services is the way forward. According to Computer Economics’ 2018/19 IT Spending and Staffing Benchmarks study, last year, large companies increased the percentage of their IT spend on software outsourcing from 6.3% to 8.7%. Similarly, medium-sized companies increased their outsourcing spend from 4.7% to 6.5%. 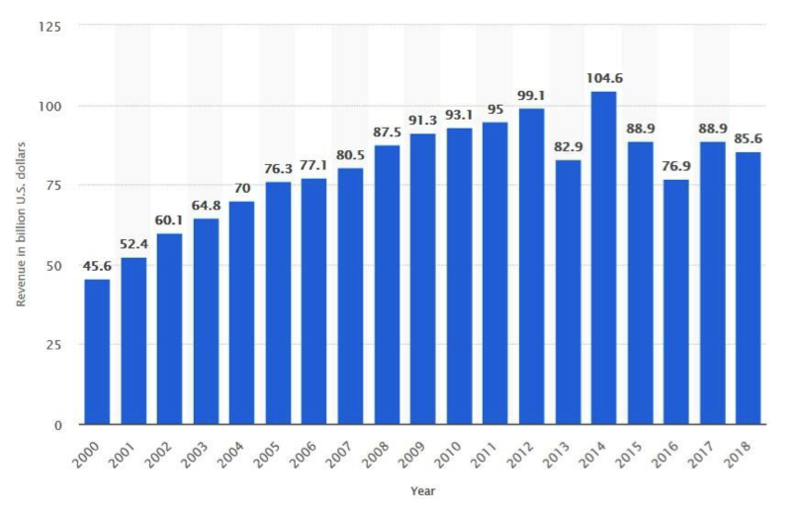 These statistics provide a clear picture of how this trend will continue to rise in 2019. From customizing pre-developed platforms to software testing and UX design, we predict that outsourced software development will continue to deliver reliable and cost-effective solutions well into the future. As Artificial Intelligence continues to make inroads into the technology industry, we expect to see an increasing trend for AI software development. AI is already being used extensively in healthcare and manufacturing with various other industries embracing chatbots and psychometric testing. We predict that AI will have a significant impact on software development and will soon become accepted as part of the wider business landscape. According to antivirus software company Norton, the cost of the average data breach to companies worldwide is $3.86 million USD. Cybersecurity affects almost all businesses and we expect to see companies turn to the software industry for support. We expect that in 2019, companies will focus more heavily on building security into their software. Software development teams will start to build security testing into the development cycle as a priority. In 2017, machine intelligence platform CB Insights reported that investors were putting $3.5 billion into cybersecurity companies. The cybersecurity market is predicted to be worth $248.26 billion USD by 2023, so we’d expect specialist software developers to be in high demand over the coming years, particularly since the cybersecurity industry is currently experiencing a major skills shortage. 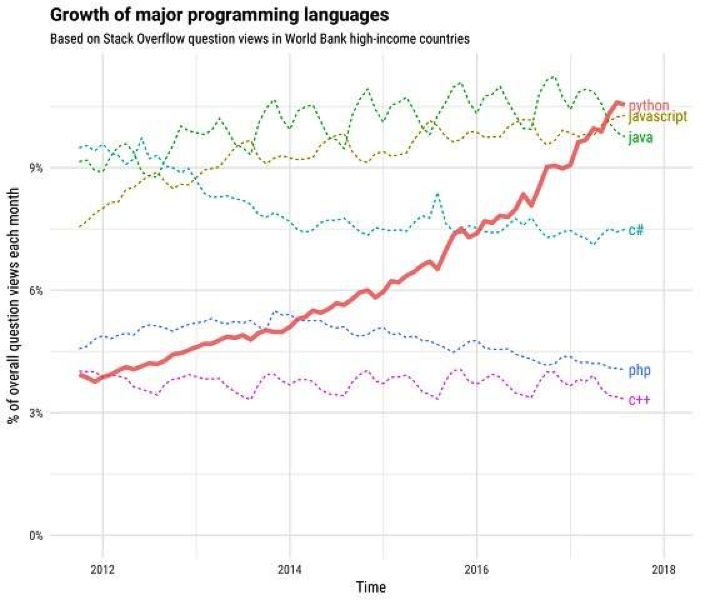 As a programming Language, Python is well-designed and easy to maintain. It provides extensive standard libraries for data analytics, scientific computing and machine learning and supports many numerical data types. Low-code development aims to reduce the amount of hand-coding required in software development. Essentially, it automates the coding process as much as possible. It can be used for a variety of purposes including transforming legacy apps into modern versions and creating omnichannel platforms. It offers startup businesses improved agility, better customer experience, higher productivity and reduced risk, all at a lower cost than traditional software development approaches. 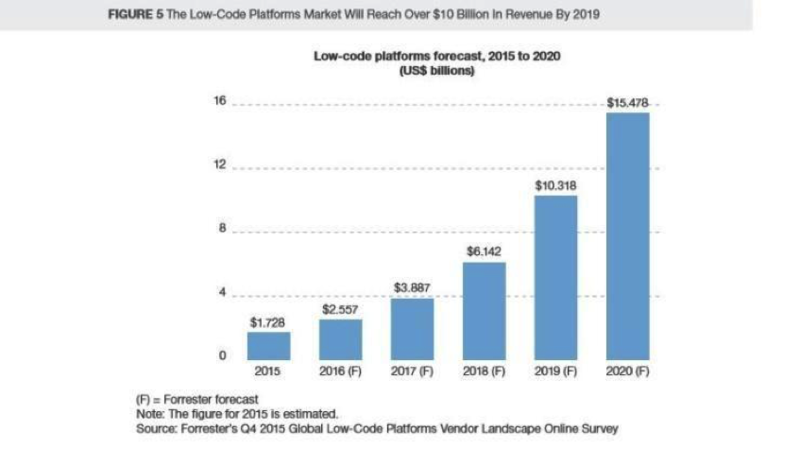 According to market research company Forrester’s Global Low-Code Platforms Vendor Online Survey, the low-code platforms market will have reached over $10 billion USD by 2019. In an industry where best practices are continually evolving, low-code helps companies to understand their projects better without deciphering complex code. It can also enable inexperienced software developers to perform customizations on their own. In 2019, we expect to see the use of Progressive Web Apps increase across a variety of business sectors. With Microsoft and Google already developing PWAs, the technology is likely to become more mainstream. Compared to traditional native apps, PWAs offer low data usage and perform updates automatically. They enable push notifications to be sent directly to users so that platforms don’t need to compete with notifications from elsewhere. Essentially, they provide the same performance as mobile apps but through a web browser. Given their low development and maintenance costs, we expect to see more businesses seeking out PWA software developers. With companies like Amazon, Microsoft, Facebook and IBM becoming more involved in blockchain technology, we expect blockchain developers to be in high demand this year. The technology simplifies banking transactions by creating a single ledger for different parties. Most commonly associated with Bitcoin, blockchain technology is taking hold in other sectors, including healthcare, oil and gas, and government. The decentralized nature of blockchain complements the ethos of software outsourcing, and we expect the two to go hand-in-hand this year.